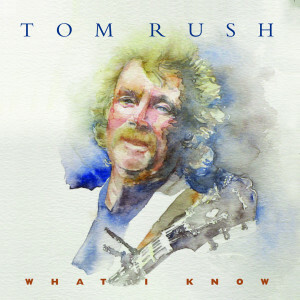 On February 24, 2009, Appleseed Recordings will release Tom Rush’s first full-length studio album in over thirty years, ‘What I Know.’ This album is the newest chapter in his legendary career and features original material and Rush’s interpretations of songs such as “Drift Away.” Rush offers up an inspired fifteen track CD of songs handpicked by the artist and producer Jim Rooney and recorded in Nashville. The album is built upon Rush’s uncanny ability to deliver emotionally charged narratives and deft performances on a joyous album that features stunning collaborations with Emmylou Harris, Nanci Griffith and Bonnie Bramlett. ‘What I Know’ opens with Rush’s own “Hot Tonight” – an ode to life’s guilty pleasures best enjoyed long after the sun has set for the day. He incorporates favorite libations (scotch and soda, gin and tonic, margaritas), favorite locations (Boston, LA, New York City and Conshohocken, PA) in his recipe for a good time and declares that he’s “gonna sing and dance ’til the rising sun, have some fun until the police come, it’s gonna get hot tonight.” Standout track “Lonely” is delivered by Rush in an acoustic, bluesy, aching lament to a lost love seasoned with slide guitar and Rhodes piano. The album ends with a wistful re-imagination of Mentor Williams’ “Drift Away.” Translating the classic song into a gentle hymn, Rush’s bittersweet delivery shines on the song’s most famous line: “I wanna get lost in your rock and roll and drift away…” In addition to his contributions to the folk rock music scenes of Boston and New York in the 1960s and being credited with introducing the world to the songs of Joni Mitchell, James Taylor and Jackson Browne through his interpretations, Rush continues to be instrumental in championing newcomers to the singer-songwriter community via his Club 47 Music Series – which has been host to Alison Krauss, Shawn Colvin and many notable others. Dates are confirmed for a North American tour beginning in January of 2009.